America's largest motorcycle manufacturer has issued a massive recall over an issue that has already led to a number of accidents. More than 126,000 motorcycles -- including all of Harley-Davidson's 2014 touring line up -- are included in the recall. There is an issue with the bikes' hydraulic clutch which may result in failure to disengage. Harley-Davidson says the fault has already been identified as the cause of 19 crashes, none of which have resulted in serious injury. The issue is the same one that prompted a massive recall of models last year. Harley-Davidson says the fix involves rebuilding the master cylinder and that it has sent letters to the bikes' owners. Touring riders are encouraged to contact their nearest Harley-Davidson dealership. 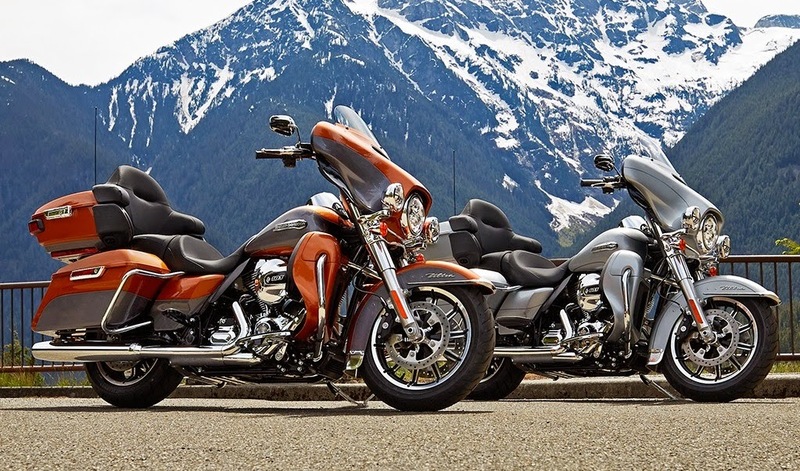 Models included in the recall are: Electra Glide Ultra Classic (FLHTCU), Ultra Limited (FLHTK), Police Electra Glide (FLHTP), Street Glide Special (FLHXS), Street Glide (FLHX), Tri Glide Ultra (FLHTCUTG), CVO Limited (FLHTKSE), CVO Road King (FLHRSE), CVO Breakout (FXSBSE), Electra Glide Ultra Classic Twin Cooled (FLHTCUTC), Ultra Limited Shrine (FLHTK SHRINE), Street Glide Shrine (FLHX SHRINE), and CVO Softail Deluxe (FLSTNSE). To check whether your bike is affected visit the Harley-Davidson safety recall search, where you can find specific information by entering your VIN. This is the second major recall to hit Harley-Davidson this year. In July, more than 66,000 models were recalled because of the risk that the front brake line could get pinched causing lock up. Meanwhile, Harley-Davidson has issued a smaller secondary recall for more than 1,400 Street models. The newly released 500cc and 750cc models are said to have an issue with the fuel tank which may result in leaking. Again, owners should contact their dealership to get the issue resolved. On the back of this news, Harley-Davidson stock (HOG) has dropped over the past few days.